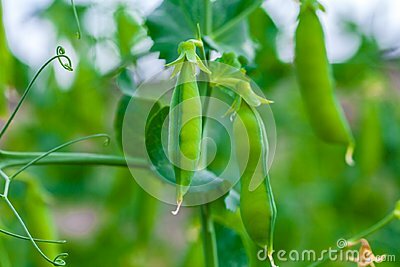 Selective focus on fresh bright green pea pods on a pea plants in a garden. Selective focus on fresh bright green pea pods on a pea plants in a garden. Growing peas outdoors and blurred background.